Tag Archive | "Arab Spring"
As the dust from the armed intervention in Libya settles, the dangers of outright regime change are laid bare. This has brought about a certain amount of what might be called buyer’s remorse on the part of organizations and governments previously supportive of the humanitarian intervention in Libya. One of the main problems of regime change is the power vacuum left by the previous regime. Once the previous regime is removed, the ensuing vacuum opens up space for various previously repressed or insignificant power brokers to take prominence in the new order. In the case of Libya, removing the Qaddafi regime precipitated the rise of local government and militias at the expense of the central government. Additionally, the sudden release of oppressive pressure from the top has led to acts of retribution based on longstanding grudges. These acts of retribution have been both organized and unorganized, and human rights organizations, such as Amnesty International and Human Rights Watch, accuse the Libyan anti-Qaddafi militias of gross and widespread human rights violations. Homelessness, violence, and lawlessness are widespread and acts of retaliation against the Tuareg population are ubiquitous. In the last few days, the rift between the central government and the local power brokers hit the world stage with the detention of the International Criminal Court’s delegation. 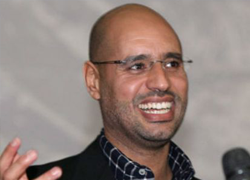 The delegation was on its way to visit Saif al-Islam Qaddafi, Muammar Qaddafi’s son, when a local militia group detained them in the western town of Zintan. Although the central government and the ICC have demanded their release, the militia has refused. The refusal lays bare the divisive issue of prosecution of the previous regime. Although the ICC has asserted jurisdiction over members of the previous regime, the Zintan militia and other factions within the Libyan state have expressed their desire to have members of the previous regime tried in Libyan courts. The ICC has a statutory responsibility of complimentarity to domestic jurisdictions; that is, the ICC may only take jurisdiction over a case if the domestic courts are unwilling or unable to prosecute. Although various human rights organizations, and the ICC itself, have expressed doubts about the capability of the Libyan judicial system and, moreover, the state of human rights within the Libyan state, various factions within Libya assert that the judicial system is willing and able to prosecute members of the previous regime. Other divisions since the end of the Qaddafi regime are becoming apparent, as relations between the majority Arab population and the minority Tuareg population demonstrate. Indeed, whereas the speedy removal of Colonel Qaddafi was hailed as a victory for the principle of the responsibility to protect, recent attacks by local and national militias, particularly against the city of Tawargha, have been decried as war crimes, undermine that progress. These crimes might also fall under the jurisdiction of the ICC, though a continued relationship with the new Libyan regime would be necessary in order to bring the violators to justice. Such a continued fruitful relationship seems unlikely at this point. These divisions underline the importance of the humanitarian aspects of any humanitarian intervention. It is apparent that armed intervention in support of a civilian revolution is insufficient to fulfill humanitarian goals, and that, as demonstrated in Afghanistan and Iraq, regime change must be followed with extensive support to rebuild infrastructure and civil and political institutions. Invoking a responsibility to protect during the armed intervention and then stepping back to allow the inevitable violent effects of regime change to take their natural course is irresponsible at best, and criminal at worst. The responsibility to protect must apply not only to vicious dictators, but also to well-meaning intervening states. That is to say, in order to be a meaningful, coherent policy, any state invoking the responsibility to protect must include a plan to address the consequences of their actions, including the prosecution of members of the previous regime and the ensuing violence and retaliation. May 23 and 24 marked Egypt’s first free presidential election since the 2011 Arab Spring revolution ousted Hosni Mubarak from over 30 years as Egypt’s unchallenged leader. 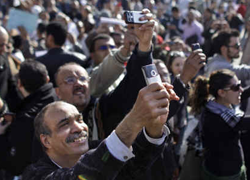 The mood in Egypt was excited, as many waited hours to cast the first meaningful vote of their lives. There were eleven challengers (two of the 13 candidates listed on the ballot had withdrawn). No candidate, however, won a majority. Because of this, there will be a runoff election June 16-17 between the Muslim Brotherhood’s Mohamed Morsi and Ahmed Shafiq, Mubarak’s last Prime Minister. That race kicked off today. This election is a monumental achievement for those who helped topple President Mubarak last spring. But it is only one step in Egypt’s march toward democracy. The transition from single party rule through the military’s transitional government to democracy will be difficult. Some 30,000 volunteers fanned out to make sure the election was conducted fairly; few violations were reported. There was, however, an underlying fear the military would try to hijack the election, even thought armored vehicles drove through the streets with loudspeakers broadcasting the military’s intention to hand over power to an elected civilian government. Despite these assurances, some fear that the military will not withdraw completely from the political sphere. One analyst predicted Egypt would go the way of Turkey and Pakistan: formal democracies where the military can nonetheless affect significant events. As the results of the first round were announced on Monday, protesters stormed the headquarters of one of the two finalists. 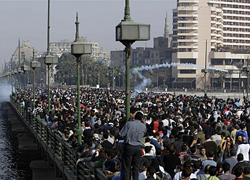 Protests swept through Cairo and Alexandria. The two contenders, Mohamed Morsi and Ahmed Shafiq, are the most polarizing figures in the race. They are seen as extremist candidates – Morsi’s Muslim Brotherhood does not have broad appeal with centrists and there is much distrust of those, like Shafiq, who served in President Mubarak’s regime. These protests signal the challenges each candidate faces in the coming weeks. Before the June 16th election, each candidate must amass a broad coalition of support, using only three weeks and the equivalent of $333,000. On one hand, Mr. Morsi’s party is well established across the country. Mr. Shafiq, on the other hand, has the vast network of Mubarak’s outlawed National Democratic party and the security forces behind him. The candidates, however, must paint themselves as appealing to centrists to win the top spot. 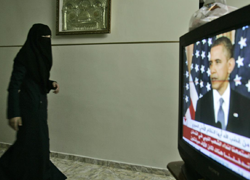 The ultimate results of the election spells uncertainty for Egypt’s relations with Israel and the United States. Both candidates, however, seem more inclined to “play the Egyptian street” than Mubarak. This means a foreign policy less inclined to friendly relations with both the US and Israel. Public opinion, under either candidate, will play a larger role. And the public are not as pro-US or pro-Israel as the Mubarak regime generally had been. For example, the Camp David Accords are likely to be reviewed. Already, the transitional military government ended shipments of natural gas to Israel. 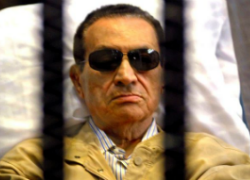 “Mubarak was dependable” on the international front; the new regime is likely to be less so. The United States and Israel may have to put up with more hostile rhetoric, at least in the interim, from an emboldened public and an Egyptian parliament playing to a different crowd. Regardless, the true effects will be seen when the results of the run-off election are announced in late June and the military hands over control of the government on July 1. Egyptians have yet to draft and approve a new Constitution, so the president’s powers are not yet determined. Whichever candidate wins will face the challenge of uniting a disgruntled country. But, he will have a strong voice in shaping the Constitution and in driving the relationship with the West. 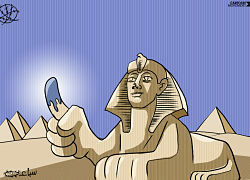 All eyes are on Egypt as it dives into the waters of democracy. On April 4th, the International Criminal Court (“ICC”) ordered Libyan authorities to surrender Moammar Gadhafi’s son, Seif al-Islam Gadhafi after the Libyan transitional government requested a second postponement in surrendering him. Libyan rebel fighters arrested Seif al-Islam Gadhafi in November 2011 when he was attempting to flee to Niger and the country means to try him in their own court system first. In its ruling, the ICC requested that Libya “proceed immediately with the surrender,” but Libyan authorities intend to challenge the jurisdiction of the court. Libyan authorities are currently building a special prison in Tripoli where Gadhafi will be held while the militia is holding him in the western town of Zintan. Once the prison is complete and Gadhafi has been moved, his trial will begin. However, many people fear that Gadhafi will not receive a fair and safe trial in Libya. In addition to the anger felt by Libyan citizens against Gadhafi, a Libyan court could sentence Gadhafi to death for persecuting and killing protestors during the uprising, while an ICC conviction could only result in a prison term. While Libyans want to see justice in their own country for their citizens, Liz Evenson, senior counsel with Human Rights Watch’s International Justice Program has stated that it is “imperative that Libyan authorities start preparing to surrender Seif al-Islam … This is what cooperation with the court means.” If Libyan authorities do not hand Gadhafi over to the ICC, it is possible that the matter will be brought before the Security Council, as a Security Council Resolution has ordered Libya to cooperate with the ICC. News Post: Which Court Should Try Seif-al-Islam el-Qaddafi? 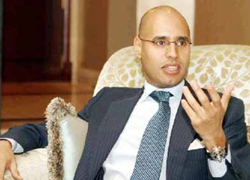 Libyan rebels captured Seif al-Islam el-Qaddafi, Moammar Gadhafi’s son, this past Saturday. 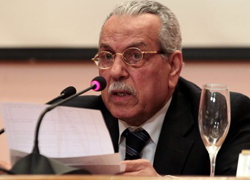 Within hours after his capture, the International Criminal Court’s (“ICC”) prosecutor, Luis Moreno-Ocampo, announced that he would be traveling to Libya becaus Seif-al-Islam is wanted by the ICC for charges of crimes against humanity. However, Libya is not a member of the ICC Rome Statute, and it is arguable that Libya may not have an obligation under the U.N. Security Council Resolution 1970 to cooperate with the ICC’s regulations. If Libya were to cooperate, it would have to hand over Seif-al-Islam or, at the very least, recognize that Libya is within the ICC’s jurisdiction to determine whether Seif-al-Islam can, and should, be tried in Libya’s domestic courts. The rebels from the town of Zintan, who captured Seif-al-Islam, and the unelected interim government of Libya want him tried in Libya, where he would face the death penalty. This is assuming, of course, that he is not murdered before trial, as occurred to his father. The ICC, on the other hand, forbids capital punishment and would therefore not seek the death penalty against Seif-al-Islam. Additionally, concerns have been raised that if Seif-al-Islam is not tried in Libya, Libyan citizens would be denied due justice. Despite these concerns, it is argued that Seif-al-Islam should be tried in the ICC in order to prevent a repeat of the depraved proceedings that were brought against the Iraqi leaders. In those cases, the leaders never received due process since they were never tried for their crimes of genocide due to the United States’ insistence that Saddam receive the death penalty. According to the ICC’s statute, a sovereign nation is to be given priority to try its own citizens and the ICC is only to act as a court of last resort in the instance that the local justice system is in a state of “substantial collapse” or unable to operate in an impartial manner. Currently, Libya has no working court system that will satisfy international standards and it plans to enforce the death penalty without regard to ICC standards. 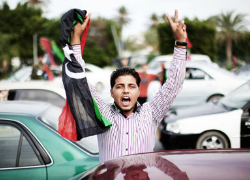 Moreover, the Libyan people have demonstrated their willingness to take justice into their own hands without resorting to the justice system, as exemplified through Gadhafi’s death last month at the whim of his captors. However, Libyan citizens could acquire justice through the ICC if it were to try Seif-al-Islam. It is mandated that all ICC trials be televised, and either part or all of Seif-al-Islam’s trial proceedings could be held in Libya even if tried by the ICC. 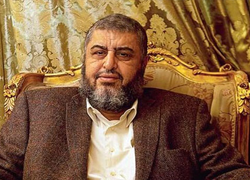 Furthermore, it is possible to hold two trials: one trial in the ICC, in which the ICC would charge Seif-al-Islam with crimes against humanity, and a second trial in Libya’s domestic courts, in which Seif-al-Islam could be tried for a wider scope of crimes, which could include anything from corruption and abuse of state funds to murder and torture. Trying Seif-al-Islam within the ICC would also set precedent for future Libyan officials who are in violation of international law and who are indicted for crimes against humanity. As one of the “most serious crimes of concern to the international community as a whole,” it is argued that crimes against humanity should take precedence over any individual charges of murder or corruption that could be alleged within domestic courts. In addition, the ICC provides for a fair and transparent process within the international criminal justice system by permitting the accused to raise defenses and summon witnesses, and by empanelling impartial judges, as well as requiring the heightened burden of proof of proof beyond a reasonable doubt for any individual who may be convicted by the ICC.